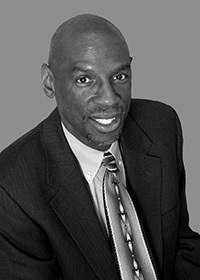 Geoffrey Canada grew up in the South Bronx. He received a Bachelor of Arts Degree from Bowdoin College and a Master's Degree in Education from the Harvard School of Education. Since 1990, he has been the President and Chief Executive Officer for Harlem Children's Zone, an organization that offers a comprehensive range of services in a nearly 100 block area in Central Harlem and serves over 10,000 children. The New York Times Magazine called the Zone Project "… one of the most ambitious social experiments of our time. It combines educational, social and medical services. It starts at birth and follows children to college. It meshes those services into an interlocking web, and then it drops that web over an entire neighborhood … The objective is to create a safety net woven so tightly that children in the neighborhood just can't slip through." The work of Mr. Canada and HCZ has become a national model and has been the subject of many profiles in the media. Their work has been featured on "The Oprah Winfrey Show," "60 Minutes," "The Today Show," "Good Morning America," "Nightline," "CBS This Morning," "The Charlie Rose Show," National Public Radio's "On Point," as well in articles in The New York Times, The New York Daily News, USA Today, and Newsday. Mr. Canada was a recipient of the first Heinz Award in 1994. In 2004, he was given the Harold W. McGraw Jr. Prize in Education and Child Magazine's Children's Champion Award. In October 2005, Mr. Canada was named one of "America's Best Leaders" by U.S. News and World Report. A third-degree black belt, Mr. Canada continues to teach the principles of Tae Kwon Do to community youth along with anti-violence and conflict-resolution techniques. Mr. Canada is also the East Coast Regional Coordinator for the Black Community Crusade for Children. The Crusade is a nationwide effort to make saving black children the top priority in the black community. This initiative is coordinated by Marian Wright Edelman and the Children's Defense Fund. The National Book Award-winning author Jonathan Kozol called Mr. Canada, "One of the few authentic heroes of New York and one of the best friends children have, or ever will have, in our nation."